Provide your people with the tools and information they need to create a 360 degree view of customers, using a highly flexible customer relationship management (CRM) platform that can adapt, grow, and scale with your business. 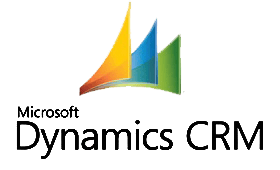 Built on a highly flexible platform, Microsoft Dynamics CRM business software provides a solution that is easy to adapt as your business changes. Achieve rapid return on investment and help keep costs down with efficient manageability and the ability to choose on-demand, on-premise, or hybrid deployments. Provide enterprise levels of performance and scalability from local business groups to the global enterprise. Rich CRM capabilities within a native Microsoft® Office experience. Flexible design and consistent processes with real-time business insight. Fast to deploy, simple to customize, and easy to manage. Give users access to role-based information and customer management capabilities in the familiar applications that they use every day. Achieve high user adoption through integration with familiar Microsoft Office productivity applications. Improve user productivity by consolidating customer information into a single location with easy-to-use reporting, visualization, and customer management capabilities. Reduce training costs and enable users to get started right away by providing CRM functionality integrated with tools they already use. Enable users to work virtually anywhere with support for mobile users and offline access to CRM functionality and reporting from synchronized data. Adapt quickly to changing markets with a CRM solution that is designed with the flexibility to grow and change with your business. Quickly deploy and customize your CRM application to fit your business needs with point-and-click customization that is fully upgradable. Change quickly using visual tools that allow business units to rapidly customize Microsoft Dynamics CRM at the business analyst level. Create and change entities, forms, workflows and more to keep pace with changing business needs. Change deeply with standard .NET development tools and skill sets in IT to make upgradable customizations quickly and efficiently. Leverage the native SOA architecture and standard web services to unify customer processes across enterprise applications. Change completely by using Microsoft Dynamics CRM as a platform for relationship management solutions that reach beyond the traditional boundaries of CRM. Turn disparate data into actionable information by making it available to the people who need it most the end-users. Consolidate data stored throughout the enterprise, whether in line-of-business systems, custom applications, or on users’ desktops, and empower everyday CRM users with easy reporting and actionable analytics. Put business insight in the hands of users with wizard-based tools for reporting so they can gain timely access to information and insight without the assistance of IT. Deliver actionable intelligence by combining predictive analytics with business automation so people have access to the information they need to help achieve a 360-degree view of the customer. Minimize costs by taking advantage of powerful business intelligence technologies included in standard Microsoft products such as Microsoft SQL Server and Microsoft Excel. Deliver quick wins for business, IT, and finance with rapid return on investment and a low total cost of ownership. Streamlined installation and simplified administration features help you get up and running rapidly. Take advantage of your investment in Microsoft products and technologies thanks to close integration with other Microsoft with Microsoft software and services, including unified security features, patch, and configuration management; automated deployment; and monitoring and diagnostic tools. Choose from deployment options that include on-demand, on-premise, hybrid, and self-hosted implementations all delivered on a common architecture and data model. Change your mind at any time or host it internally for ultimate control and flexibility. Scale efficiently to the needs of the largest global deployments with a CRM solution that is highly available and responsive. Take complete control with flexible options for load balancing and clustering for data and transaction volume, and configuring and optimizing for speed and bandwidth requirements. Best of all you can do all this economically with standard Microsoft technology tools and skills. Optimize performance with technologies that use established skills and standard optimization techniques, including Microsoft Internet Information Services, Microsoft SQL Server® database software, and Microsoft Exchange Server. Configure to meet bandwidth requirements with highly flexible options for delivering responsive performance over the local area network (LAN) or wide area network (WAN). Scale up and out with load balancing, web farm clustering, exchange clustering, SQL Server mirroring to flexibly meet the needs of large or small enterprise deployments. Deploy for scalability with on-demand, on-premise, and mixed model options all based on the same data model and service grid architecture.